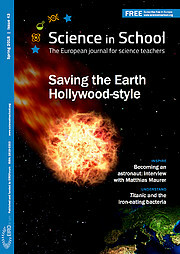 The latest issue of the free magazine Science in School is now available online and in print. 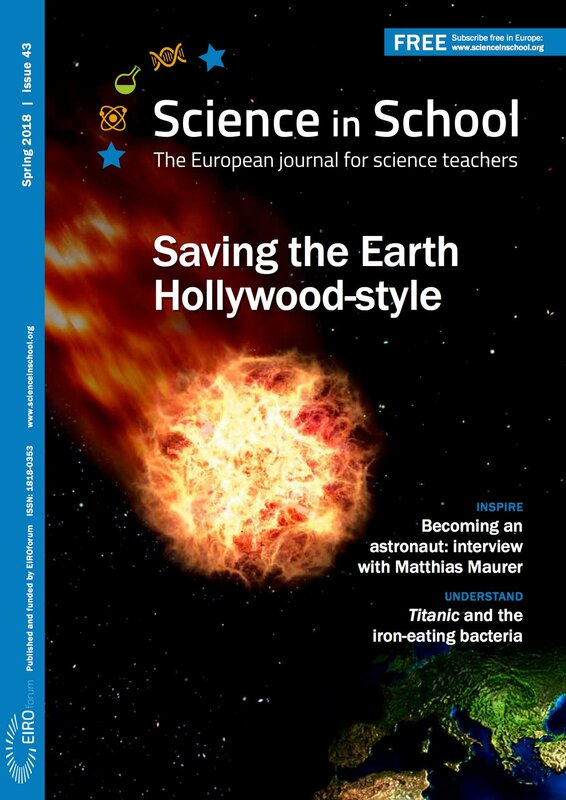 This European journal for science teachers offers up-to-date information on cutting-edge science, teaching materials and projects in science education, interviews with inspiring scientists and teachers, reviews of books and other resources, and many other useful resources for science teachers. It aims to promote science teaching by encouraging communication between teachers, scientists and everyone else involved in European science education. Some of the highlights of this issue include: an interview with ESA astronaut Matthias Maurer; an article about the iron-eating bacteria on the wreck of the Titanic; and 10 things you might not know about fracking. Teaching activities include: colourful redox reactions using lollipops; and a set of challenges involving bouncing and falling objects to investigate simple physics principles. Science in School is published by EIROforum, a collaboration between eight European intergovernmental scientific research organisations, of which ESO is a member. The journal addresses science teaching both across Europe and across disciplines: highlighting the best in teaching and cutting-edge research. Article submissions for future issues are welcomed, whether from researchers giving a deeper understanding of a specific scientific topic or from teachers or other science educators describing innovative activities to introduce modern science into the classroom. You can read the guidelines for submissions here.